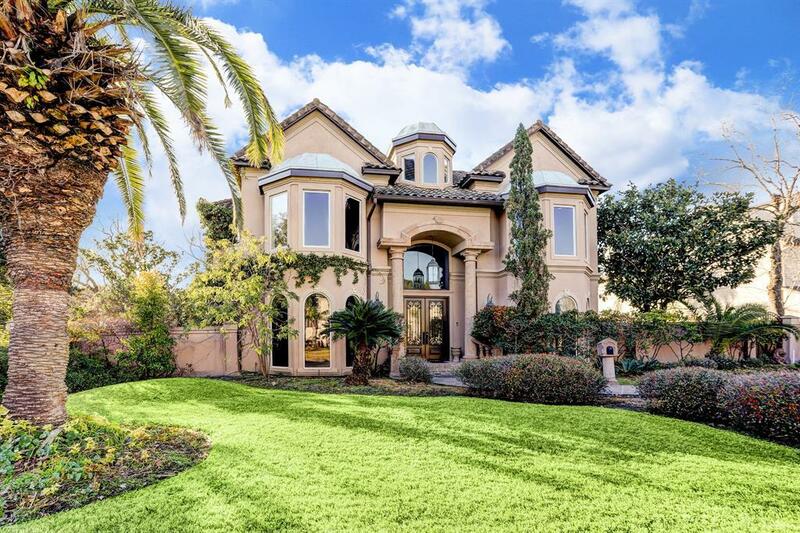 Expansive Mediterranean beauty sits on a double lot in Southside Place. 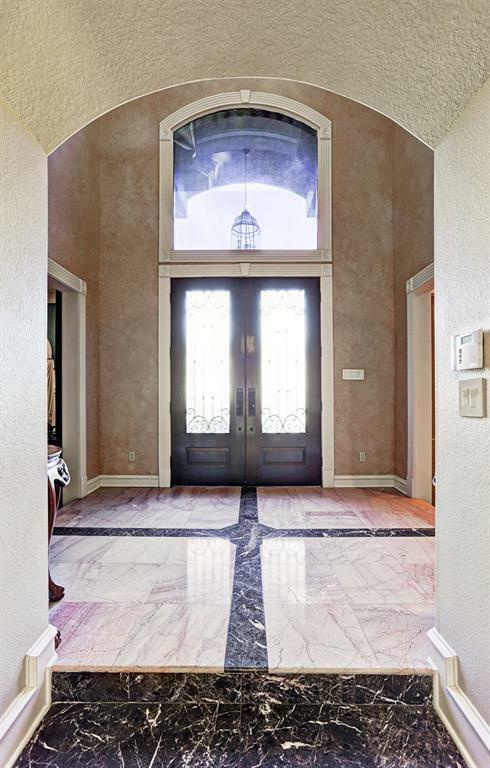 Elegant, custom finishes & designer touches make this home one-of-a-kind. The master bedroom is on the 1st floor and features a marble sitting area & fireplace. 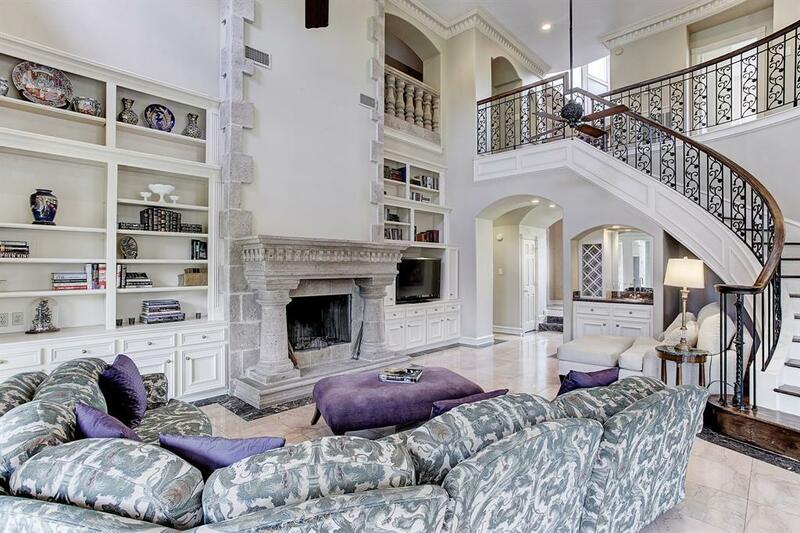 Living room has soaring ceiling, stone fireplace and marble accents throughout. Gourmet island kitchen features double ovens, glass-front cabinets & granite countertops. 2nd floor has 3 spacious bedrooms and additional space for a gameroom. 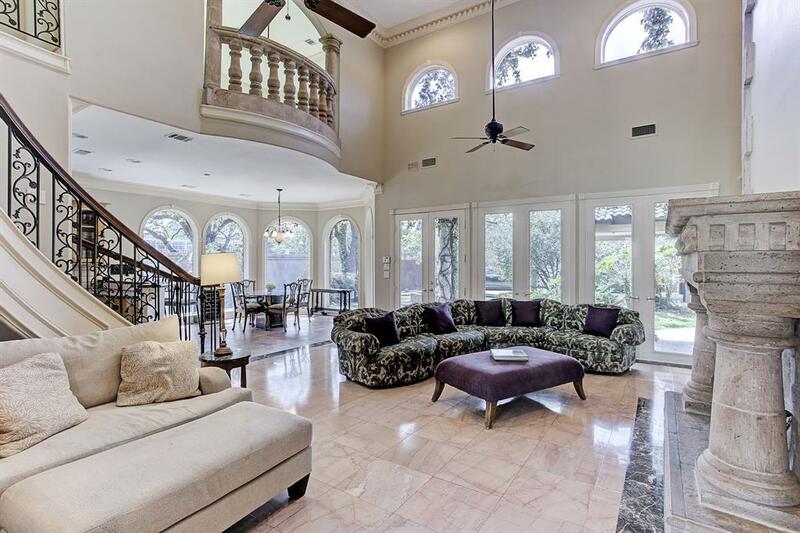 3rd floor study/library with plenty of built-ins, wet bar and half bath. Unique landscaping features large covered patio with stone floor & columns, fountain and fabulous pool & spa. Guest quarters offer an additional 481 sf(per appraisal), including kitchen & full bath. This stylish oasis has it all!